More than two years ago, Michael Panzner warned about the U.S. housing market collapse. Now for the future? The least useful investment books are those that describe either extremely bright or very dark outcomes for the markets. The quality of predictions in both types tends to be so awful that they generally provide reliable contrarian indicators. If the author says buy, you should sell, and vice versa. Michael Panzners Financial Armageddon, which was published in early 2007, is an exception to this rule. The books deeply gloomy predictions have proved so accurate that, if the text were changed from the future to the past tense, it would read like a financial history of the past year and a half. Theres more bad news to come, says Panzner. Given his extraordinary track record, investors are bound to pay attention. One seldom profits from following the advice of a doom-monger. In September 1981, The Coming Currency Collapse by Jerome Smith was published. Over the next year the dollar appreciated by roughly one third against the yen. Richard Zambells Hyperinflation or Depression appeared in 1984. This book ushered in more than two decades of stable consumer prices. James Dale Davidsons The Plague of the Black Debt: How to Survive the Coming Depression went to press in 1993, just as the U.S. economy was about to embark on a decade and a half of credit-fueled expansion. The optimists havent much to crow about, either. Far from tripling in value, as the authors of Dow 36,000 predicted back in the summer of 1999, U.S. stocks are currently worth one third less than a decade ago. The style of Panzners Financial Armageddon is typical of the genre. The forecasts are grim, they are presented with deep conviction, and the crisis deepens melodramatically with each successive chapter. What distinguishes Panzner is that his predictions have come true. Panzners analysis of the credit system has been vindicated. Banks no longer knew their customers. Instead, they depended on credit scores and risk modeling. But the risk models were flawed: They understated risk during the good times but would force financial players to make fire-sale disposals after a crisis appeared. 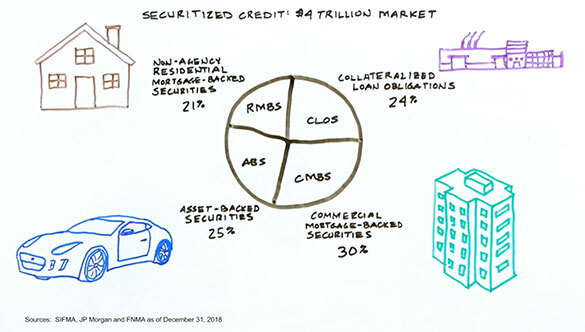 Panzner pointed out the dangers of subprime and negative-amortization mortgage loans long before this credit detritus became common knowledge. This analysis wasnt wholly original. However, by synthesizing a knowledge of eco-nomic history with a deep understanding of recent financial developments, Panzner boldly imagined how events would unfold. His description of how the credit system would unravel was specific and, as things turned out, accurate. The trigger for a fully fledged systemic crisis will likely be the abrupt and unexpected failure of an aggressive operator. Banks and prime brokers would scramble to call in loans. By that time there will almost certainly have been a dominolike collapse of more than a few large intermediaries and allegedly sophisticated global financial firms, including hedge funds, insurers and brokers. Concerns about counterparty risk, Panzner predicted, would reach a fever pitch. In the early stages of the panic, the dollar would climb in value as leveraged financial players required the U.S. currency to unwind dollar-denominated positions. The authorities would be caught off guard by the severity and speed of the crisis, according to Panzner. Initially, the Fed would be slow to respond. But as deflationary fears grew, the central bank would respond by cutting rates to zero and adopting a policy of quantitative easing. As the crisis spread around the world, protectionism would resurface. What of those anticipated events that have yet to occur? Panzner elaborates on them in a new book, When Giants Fall. The crisis, he predicts, will provoke a backlash against globalization. Nationalism will resurface as faith in multilateral institutions, such as the European Union and the World Trade Organization, diminishes. The euro is at risk of collapsing. Unions will grab more power for themselves, and state capitalism will make a comeback. The long-term outlook for the dollar is bleak, Panzner asserts. There are too many unnatural holders who own the dollar only because of its status as a reserve currency. But in the dark times ahead, as capital is repatriated around the world, dollars will be sold. More worryingly, Panzner fears a loss of confidence in fiat currencies, as central bankers around the world turn to the electronic printing press as a palliative. A deflationary psychology could suddenly give way to concerns about hyperinflation. At that moment money would become a hot potato, passed from hand to hand as quickly as possible. Investors must judge for themselves the likelihood of these outcomes. However, they shouldnt ignore them. The biggest losses over the past year and a half were suffered by those wishful thinkers who refused ever to consider the worst-case scenario. Edward Chancellor is the author of Devil Take the Hindmost and a senior member of GMOs asset allocation team.